Seguin’s Chiro Java: Get thoroughly adjusted! 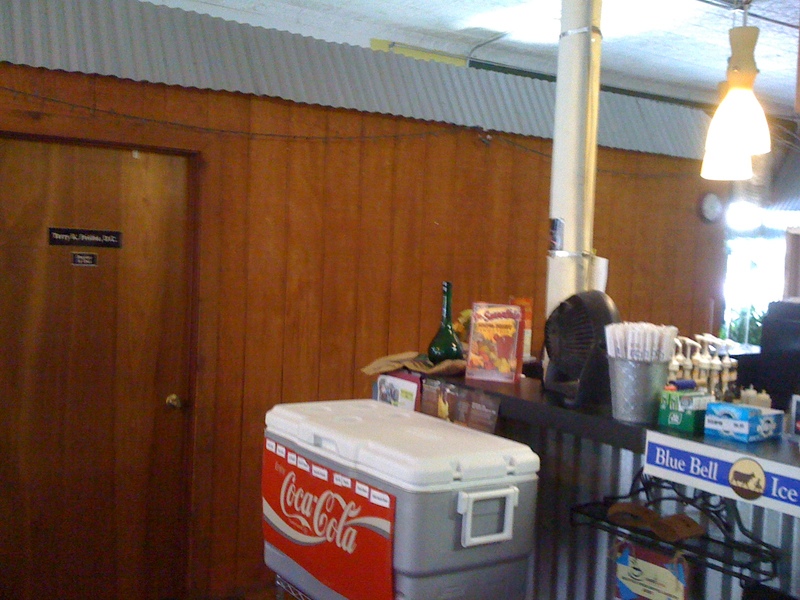 Chiro Java in Seguin, Texas takes attitude adjustment to a whole new level! There’s a chiropractic office square in the middle of the cafe, and Dr. Frisbie (yes, that’s his name) can fix your spine while the cafe fixes your sandwich. (Please tell me who dreams these things up!) Need to check your email?–Fine, Chiro Java’s an internet cafe as well. 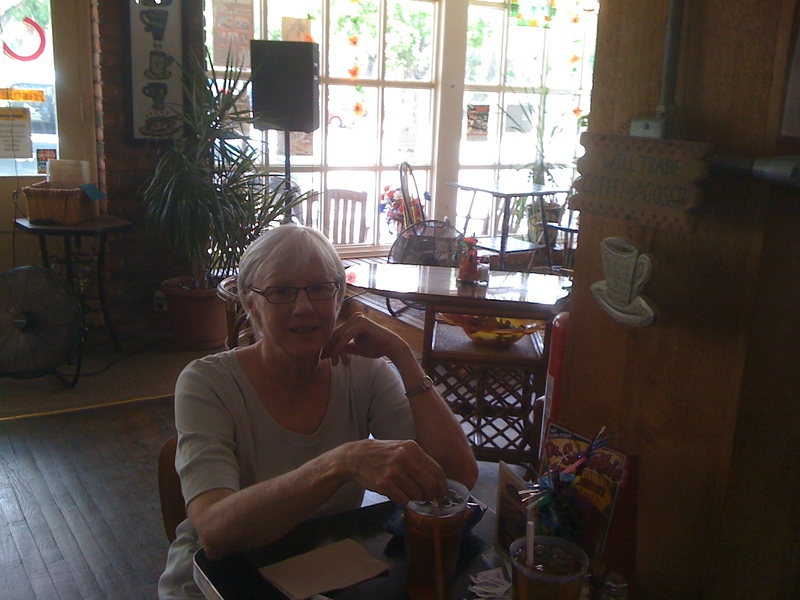 My sister Jacque and I stopped in for lunch on my last day in Seguin (that’s her, stirring her sweet tea). 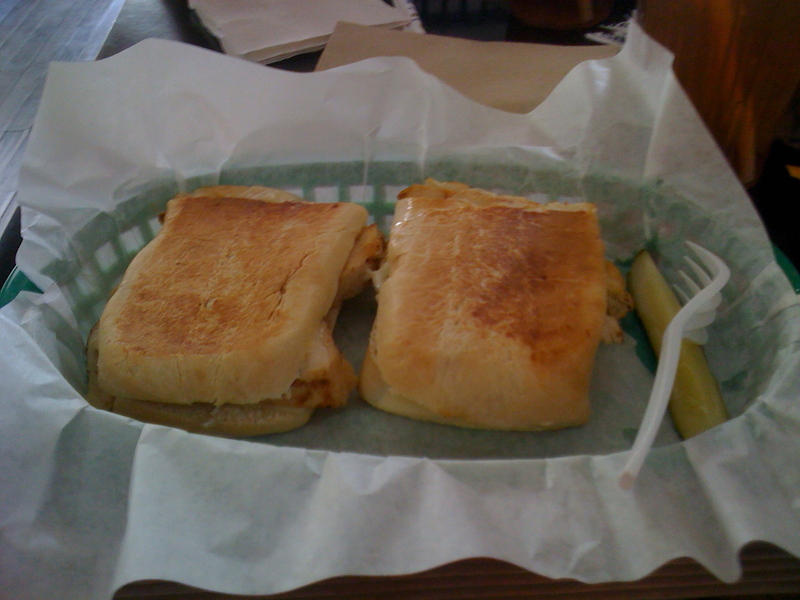 I had the chicken and olive-tapenade sandwich; moist white meat on fresh house-made sourdough bread, lightly dressed with the tapenade. Tasty! Chiro Java is the kind of place that feels like home. Another customer comes in to place his order and it’s “hi, Sam” and some chit-chat that seems to take up where it left off a few days ago. A friend swings by our table to invite my sister to a get-together later on at her house. A side cabinet displays work from local artists, and a clutch of flyers keeps you up to date on local events. In fact, there’s a lot to like in Seguin. The Guadalupe River snakes through town, bordered by spacious well-kept parks with picnic tables, barbeque pits, playing fields, and pathways that invite you to come on in and stay a while. The town boasts six community gardens for a population of about 30,000, and anybody can come by and harvest produce from them without charge; the gardeners just ask that you take care to leave the plants healthy for the next visitor. 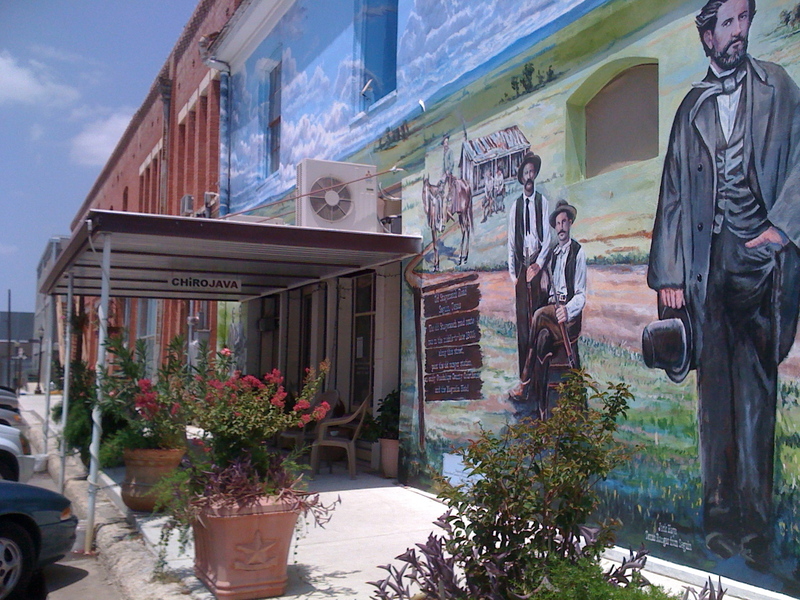 And the locals take pride in their heritage; after lunch, be sure to step around the corner to take in the mural of Seguin history that stretches along the wall of the building. 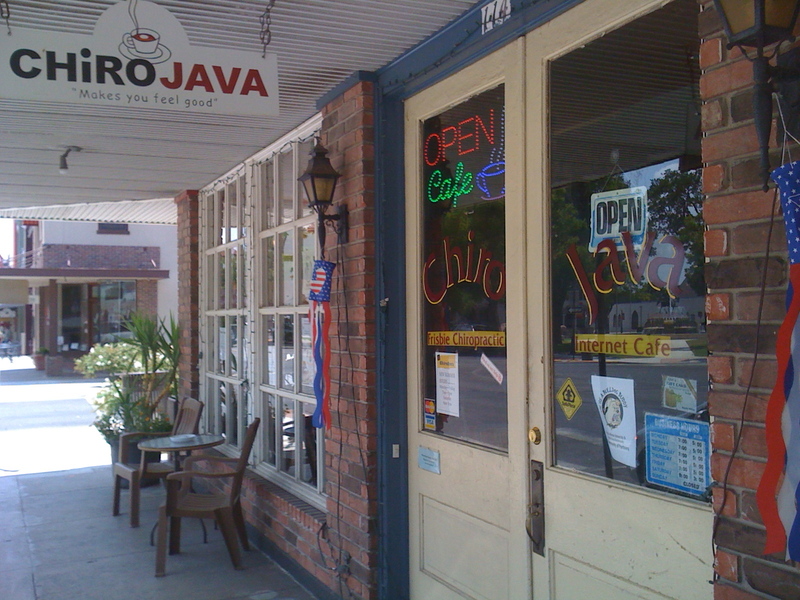 Chiro Java’s self-proclaimed purpose is to “MAKE YOU FEEL GOOD”–and that seems to sum up the spirit of the town as well!